$4 per vehicle per hour applies at the carpark (pay and display machine). 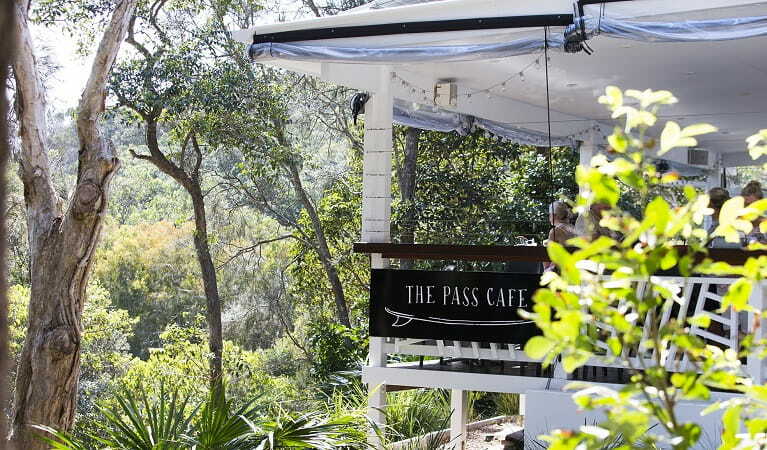 Surrounded by lush littoral rainforest only metres from one of Byron Bay’s best surf beaches, The Pass Cafe is popular for a reason – and the food lives up to the view. 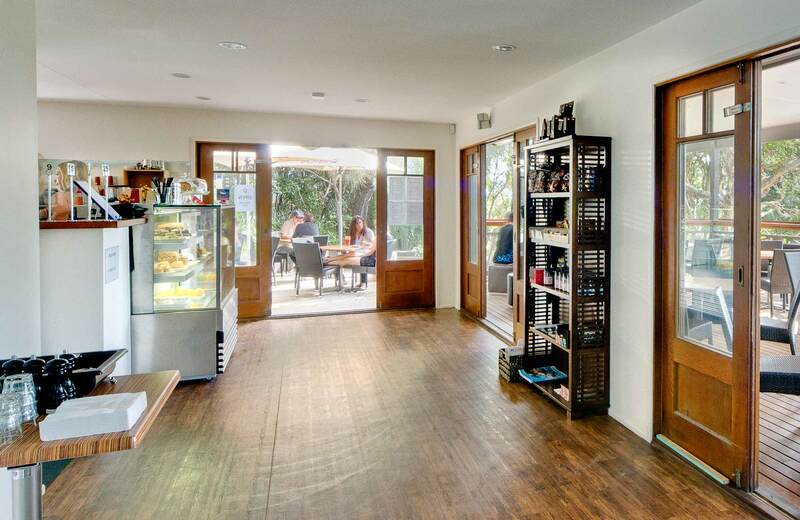 Stop for a quick morning coffee, or settle down on the large covered deck for a leisurely lunch as birds chatter in the trees and the soothing sound of waves migrates up the sand. This is an institution for Byron locals visiting their beach or Cape Byron Lighthouse – so much so that they petitioned to have it reopened after a two-year closure. 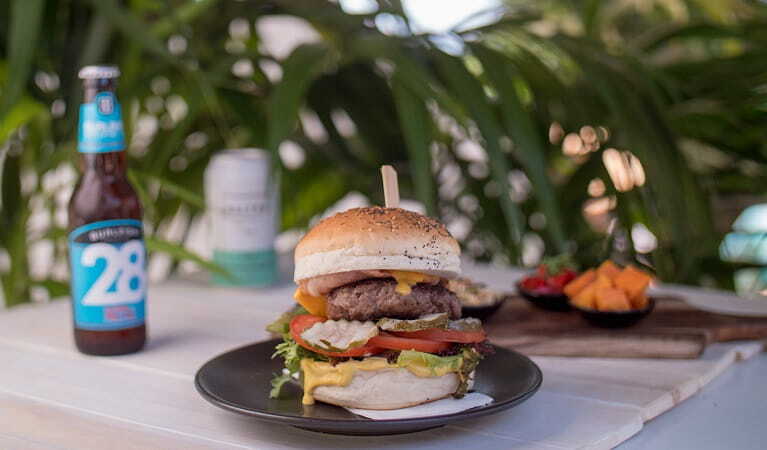 If you’d rather eat surrounded only by the park’s beautiful natural features, an adjoining takeaway kiosk brings the fresh local food outside. 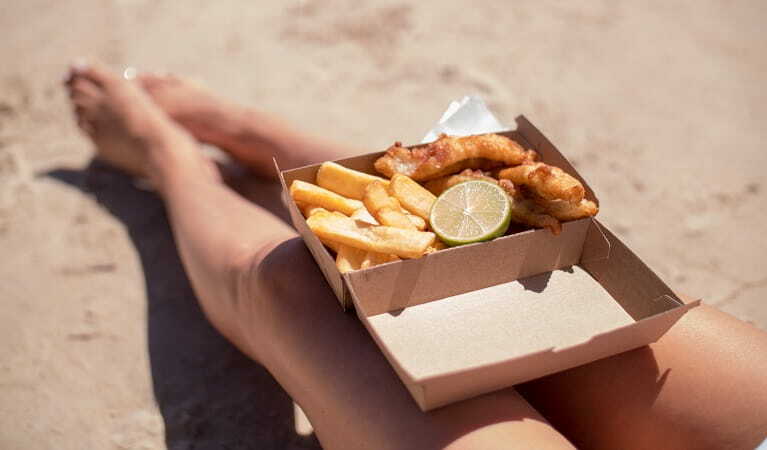 Grab a milkshake and burger and pick a nearby picnic table in the picnic area, then finish it all off with an invigorating stroll along the beach.